British Virgin Islands – BVI company registration is the most popular offshore business filing choice for people in Asia and Europe. It is also very popular for many in the Americas. 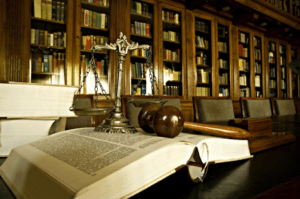 When searching for jurisdictions form a corporation, many business owners feel that BVI is a good choice because of the privacy and tax benefits. The popularity of the British Virgin Islands as an offshore incorporation strategy has resulted in thousands of corporations being formed here every year. BVI, a British Overseas Territory, is the world’s leading center for company incorporation. 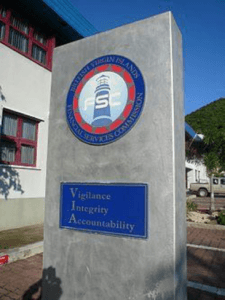 About 40 percent of all offshore companies are formed in BVI. There have been well over one million corporations formed in BVI since corporate legislation was introduced in 1984. Offshore trusts are also available in the BVI. It also has the second largest number of hedge funds just behind the Cayman Islands and is one of the larger locales for captive insurance company formation. The financial services industry accounts for 60 percent of the GDP in the British Virgin islands. As a result of this influx of funds, the 28,000 inhabitants on the island enjoy a far higher standard of living than other islands in the Caribbean. Corporations are not required to pay income tax to the British Virgin Islands government. The tax breaks are essential for businesses wishing to maintain an affordable and successful start-up. The documentation one must complete for incorporation are internationally known and thus easy to use when dealing with the banking system, investment accounts and other types of financial institutions worldwide. Since so many corporations have formed here, the documentation used by the British Virgin Islands has obtained worldwide recognition, creating comfort because of the familiarity the British legal system throughout the world. You do not need to pay large fees to establish and maintain your business in BVI. Neither the FATF or OECD has ever blacklisted the British Virgin Islands as an offshore services domicile. So, when forming a corporation here you can feel confident that the jurisdiction is well respected. Your company will not need to share information about officers, directors, owners, or shareholders. None of this information is filed with the Registrar and confidentiality remains, as these names are not listed in the public records. 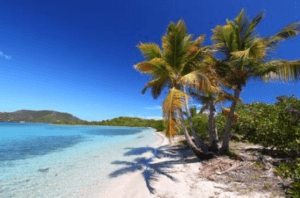 The British Virgin Islands does not restrict where you can do business or where you can buy property, giving business owners a wide range of options. It is also easy to move your corporation from the British Virgin Islands to another jurisdiction should you so need to. That is, you can convert your BVI company into a Nevis, Wyoming, or Belize company, for example. Business companies that can issue shares of stock (referred to as “limited by shares”). The shareholders are shielded from company liability. Business companies that are both established by a guarantee and can issue shares. Business companies that are unlimited but cannot issue shares. Business companies that are unlimited and can issue shares. A segregated portfolio company (only available to mutual fund and insurance companies). Restricted purpose company (can only engage in specific activities). May be used to give assurances to outside investors that company will only do specified acts. The most common type of corporation that is formed in the BVI are companies that that can issue shares (limited by shares). There are a few requirements any company or limited company incorporating in the BVI needs to meet. You need to find a registered agent whose location can be found in the British Virgin Islands. Your registered agent will assist you with the process of both registering and incorporate the company so that it legally meets all requirements in the BVI. Furthermore, the company or limited company is required to keep the registered agent for the duration of its existence, or else the company can incur a steep fine. You also need to keep a registered office, which needs to be a physical location in the BVI, and this office cannot be a post office. You can, however, utilize the office of your registered agent for this. Furthermore, your company can change your registered agent or office freely, but any change requires you to report to the Registrar. You need to complete your Memorandum and Articles of Association for your company with your registered agent. After this, your registered agent will file the appropriate documentation with the Registrar. Once the Registrar feels your corporation has met all rules and regulatory requirements and submitted all documentation, the company will receive a number alongside its certificate of incorporation. Completing incorporation can take as little as one day in some cases, and as long as five days in other cases. You have six months to allow your Registered Agent to select the company directors. Often, some directors are stated in the company or limited company’s Articles of Association. One director is required, and a company secretary is not required. The company or limited company’s selected directors to not need hold BVI residency status, and can be either private persons or business entities. No information about directors of a company needs to be filed with the BVI unless the company or limited company decides to do so. This fact means directors’ names stay private. You will need to supply information about your shareholders to your registered agent when you incorporate. After directors are selected, other shares can be issued to shareholders. You are allowed to have your company or limited company issue shares with or without par value in any currency. It is important to issue shares as soon as possible, because unless shares are issued, the directors of the company become liable for all contracts in the company. Naming the shareholders helps to spread some of the liability. Also, the names of the shareholders, much like the directors, are not filed and kept private unless the company decides to file them. The only company records that are made available to the public are the Articles of Association and Memorandum. 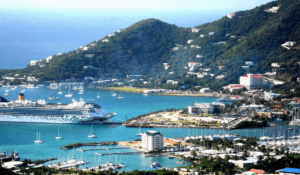 With so many benefits to offer a company or limited company, one can see why the British Virgin Islands has emerged as such a popular place for new companies to incorporate offshore. The British Virgin Islands offers a bevy of benefits and many helpful breaks for businesses. Furthermore, its increasing popularity helps it to continue to bolster the success of offshore corporations.